These 2x2 fence post caps are made from black powder coated Aluminum. Fitting a true 2" post via a slide over (friction) fit, or can be installed with epoxy. 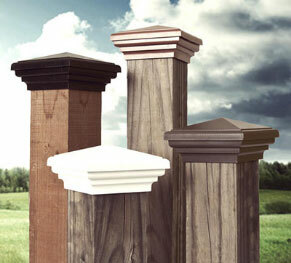 These are a slim ornamental post caps are designed to be a very long lasting protective solution for your posts while maintaing a smooth and elegant appearance. Click add to cart to purchase or call 770-808-0200 to order by phone! Fits a true size post. (2.0” x 2.0”). A simple installation, slides right over the post! Black powder coated aluminum will outlast any wood product! Order online or call 770-808-0200 to order by phone. *The aluminum caps are not produced in the US. * 1 year warranty against fading.